In an article I posted nearly six years ago, “Where Runner’s World Went Wrong,” I quoted a wonderful piece by Dean Ottati from Marathon & Beyond. It’s not available online, but you can read large excerpts in my old post. 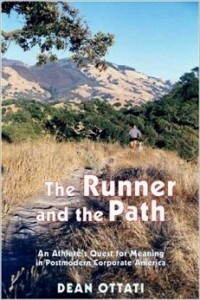 Dean is the author of The Runner and the Path, one of the most insightful, entertaining, and unfortunately little-known books about running I’ve read. Dean called his article “Fast Marathon Women.” No, it isn’t not about Paula Radcliffe. The title refers, sarcastically, to the ever-increasing commercialization of Runner’s World. The same forces that changed Runner’s World threaten to drain the life out of our running. Too much concern with externals, with slick surfaces and the mechanics of our sport distracts our attention from the life within – from the simple, relentless urge that wants to find greater joy and decreased sorrow. We can never fulfill that longing with heart monitors, iPods, high-tech running fibers, and $150 running shoes. The essence of running isn’t sophisticated at all. It’s running stripped to its barest essentials: a sunny day, a trail in nature, shorts, shoes, and a t-shirt, and a song in our hearts. It’s a great myth of science: that we can explain everything by measuring and weighing physical objects. In running, the scientific search for meaning translates as endless studies of the physical body. The scientists have given us lots of good information, undoubtedly. Yet ultimately they’ve explained very little that matters, including the reasons we run. We run for the process. We run for joy. Bad runs, like bad books and movies, are made for the money. Great runs are done for the hell of it. Watch Mary Cain. Kudos for her coach, Alberto Salazar, who’s intent on helping her become a star while keeping her joy. Bad runs happen when we’re over-focused on results. Great runs are done for the experience. You can turn bad runs into great runs by centering your attention on what’s happening in the moment, and doing what’s best accordingly. Some of my worst runs – God-awful runs where I crashed badly – turned out to be among my best, because I dealt well with the process, slowing to exactly the right pace, accepting the reality of the day, and keeping my spirits positive. I’ve argued endlessly – and science has my back on this, as I explain in my book – that keeping our hearts and heads in an upbeat place is a deeply important part of successful running. It’s something that sports psychologists have long known, but the lab boys in white coats generally ignore. I long ago gave up the notion that my runs would go well if I simply took care of my body. Over time, I realized that there are not one, but five tools I need to care for to get the most enjoyment and best results out of my running. Those tools are: body, feelings, will, mind, and soul. I won’t go into the details, suffice it that all of the tools are important, and if we neglect just one of them, our runs and results suffer accordingly. If I want to optimize my pleasure and performance, I’ve learned that I must manage my mental and emotional environment. That means monitoring the quality of the outward influences I allow to penetrate my heart and brain – including the music I listen to, the books I read, the friends I cultivate, and the movies I watch. I’m very careful to choose upbeat books, for example. Let me tell you how this works. I’m not going to lie to you. If you can read the books I’ll list below without getting more pure, organic pleasure out of your runs, I’ll eat my keyboard. These books won’t ask you to do anything difficult. They won’t send you to the weight room. They won’t recommend that you do speedwork. They won’t tell you to log 100-mile weeks. 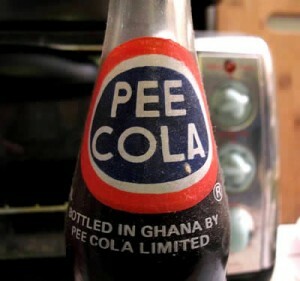 In fact, they won’t suggest anything you can’t do lying on the couch with a bag of chips and a bottle of Pee Cola. What they will do is change your mood. And that’s important. You’ll no longer stagger out into the pre-dawn darkness with your hair in a twist, bad breath, and a sour state of mind. Okay, you might still have dog breath and night hair after reading these books, but you won’t have the blahs. And that’s why you’ll run better. I’ll make a confession. I read tons of trashy books. I’m a writer and editor, and the place I go to hone my craft is the mystery shelf. I’ve learned more usable stuff from mystery writers than from all my college professors, or any of the A-list authors of the New York Review. Spare me your depressing Styrons and Salingers please, I’m talking he-man books. 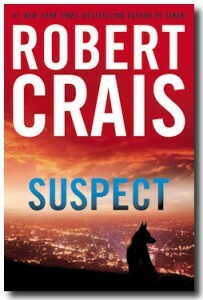 I’m talking Robert B. Parker, Robert Crais, and Michael Connelly. I’m talking Martin Limón. I’m talking books that are enjoyable. I’m talking writers whose names you won’t find on any of those girly-man Internet lists of the 100 best mysteries of all time. 1. 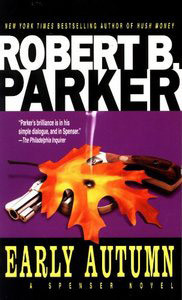 In Robert B. Parker’s Early Autumn, tough-guy private detective Spenser rescues a 15-year-old boy who’s caught in a toxic custody battle between his unloving parents. Neglected and emotionally abused, Paul Giacomin has no self-respect. Spenser takes him to the Maine woods, where they build a cabin together, from scratch. The kid becomes physically strong, develops a positive self-image, and faces down his fears. Along the way, they solve a crime. It’s an inspiring tale, and Parker is an absolute master of readable writing. Go for a run after finishing Early Autumn, and your shoes will feel several ounces lighter. 2. Robert Crais has never written a dud book. Parker has, but no more than one or two, and he wrote 70 books before he died in 2010, whereas Crais just published number 15. Crais’s best is Suspect. An LA police officer’s partner is killed at the scene of a robbery, and the officer is severely wounded. Meanwhile, a Marine Corps bomb-sniffing dog named Maggie loses her master in an ambush during a routine patrol in Afghanistan. Naturally, the wounded warriors end up working together as part of the LAPD’s K9 Unit. The story of their mutual rehabilitation and healing is deeply inspiring. And, because it’s Crais, the plot is diverting and beautifully told. 3. 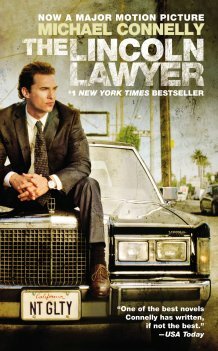 Did you see the movie version of The Lincoln Lawyer? It’s pretty good. Adapted from Michael Connelly’s book, the film’s main shortcoming is that it’s a mite too slick and quick. In the book, attorney Michael Haller is an aging legal fleabag who works the system for a fast buck, his youthful principles all but forgotten. I can’t help but feel that Haller (played by Matthew McConnaughey) would have been more accurately portrayed by Stacy Keach. McConnaughey is a fine actor, it’s not his fault that he isn’t a middle-aged shlub. In the fast-paced movie, the main theme gets buried: how Haller recovers his soul. In the book, that sub-plot unfolds with wonderful realism and interesting characters: Haller, whose office is the back seat of a Lincoln Town Car; his driver, a small-time crook who’s paying off his legal fees by serving as Haller’s chauffeur; and Haller’s investigator, beautifully played by William H. Macey (far right in the photo). The headlong pace means there isn’t time to reveal how deeply unhappy Haller is with his legal practice, his lifestyle, and his separation from his wife and daughter. Instead, he seems proud of what he does – he’s the smooth-talking, self-satisfied operator. The plot takes over, and thankfully it’s a good one. Moreover, in both the book and movie we sense that Haller is at his core a decent man, with moxie, a sense of humor, and a heart. When a close associate dies, he becomes a force for justice, and we watch him rise to his true height. In the book, it’s inspiring; in the film, Haller gets even and solves an interesting crime. The folks at Heartmath Institute have pretty well established that the human body can do more work, more efficiently, in the presence of uplifted feelings such as love, kindness, forgiveness, and compassion. Shorthand message for runners: we run faster and farther when we feel calmly upbeat. Keep company with the things that lift your heart, whether it’s books, movies, songs, paintings, people, or poetry. I recently reviewed Clare Balding’s autobiography, My Animals and Other Family, about her childhood experiences growing up among racehorses, dogs, and horse trainers. It’s a buoyant, funny, deeply positive book. While reading it, my runs were correspondingly upbeat and happy.